Desiree V-Neck Bottom String Tunic Dress - WHITE (inner, legging, kerudung not included) P..
Mikayla Mid-Stripes Knitted Dress - GREY Price : Rp 83.000 Brand : Jo & Nic Code : RJ..
BELI ECER 35.000, beli 3 100.000 Bahan kaos FREESIZE, fit up to L ..
Bahan baby terry FREESIZE, fit up to L ..
Cindy Button-Up Stretchy Pants - CREAM Price : Rp 71.500 Brand : Jo & Nic Code : FJN8..
Cindy Button-Up Stretchy Pants - NAVY Price : Rp 71.500 Brand : Jo & Nic Code : FJN83..
Cindy Button-Up Stretchy Pants - BLACK Price : Rp 71.500 Brand : Jo & Nic Code : FJN8..
Cindy Button-Up Stretchy Pants - GREEN Price : Rp 71.500 Brand : Jo & Nic Code : FJN8..
DAPHNE Aladin Pants - GREY Price : Rp. 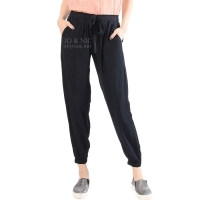 85.000 Brand : Jo & Nic Code : BLiP03047BL M..
CARMEN Comfy Pants - CREAM Price : Rp. 79.900 Brand : Jo & Nic Code : BLiP23042SM-CM ..
SCARFFY TOP P : 61 cm Ld : 86 - 96 cm Lp : 88 - 94 cm Bahan : Rayon Paragon ..
Lihat koleksi Brand : Jo & Nic Lainnya ..
CARMEN Comfy Pants - BLACK Price : Rp. 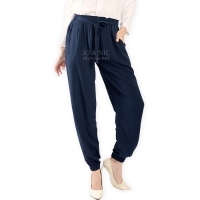 79.900 Brand : Jo & Nic Code : BLiP23042SM-BC ..
CARMEN Comfy Pants - NAVY Price : Rp. 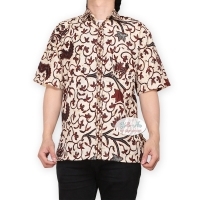 79.900 Brand : Jo & Nic Code : BLiP23042SM-NV ..
Olga Loose Peplum Batik Top Price : Rp. 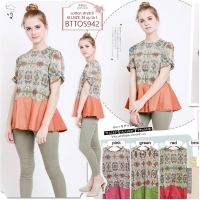 77.800 Brand : Mix Brands Code : BTTOS94205 Mat..
Tara Loose Peplum Batik Top Price : Rp. 77.800 Brand : Mix Brands Code : BTTST94205 Mat..
Casual Culottes with Waist Tie - DUSTYPINK Price : Rp 59.000 Brand : Jo & Nic Code : ..
Kulot Midi Belinda - TOSCA Price : Rp 59.000 Brand : Jo & Nic Code : FJN822B-TC Mat..
Kulot Midi Belinda - MILO Price : Rp 59.000 Brand : Jo & Nic Code : FJN822B-ML Mate..
Casual Culottes with Waist Tie - RED Price : Rp 59.000 Brand : Jo & Nic Code : FJN822..
Abbey Tulip Sleeve Blouse - WHITE Price : Rp. 62.500 Brand : Jo & Nic Code : FJN307-W..
Abbey Tulip Sleeve Blouse - BLACK Price : Rp. 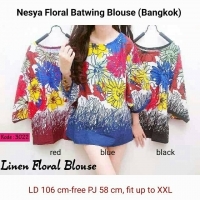 62.500 Brand : Jo & Nic Code : FJN307-B..
Abbey Tulip Sleeve Blouse - PINK/FUSCHIA Price : Rp. 62.500 Brand : Jo & Nic Code : F..
Pleated Long Skirts / Rok Panjang Lipit - GREY Price : Rp 86.000 Brand : Jo & Nic Cod..
Pleated Long Skirts / Rok Panjang Lipit - CHOCO Price : Rp 86.000 Brand : Jo & Nic Co..
3 Size - Justin Kemeja Pria Batik (ukuran M/L/XL) Price : Rp 85.000 Brand : Jo & Nic ..
6-Buttons Blazer - BLACK (inner not included) Price : Rp. 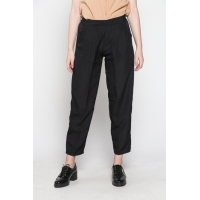 49.500 Brand : Jo & Nic C..
Wilona Ribbon Midi Culotte Pants - LIGHT GREY Price : Rp 67.500 Brand : Jo & Nic Code..
Wilona Ribbon Midi Culotte Pants - RED Price : Rp 67.500 Brand : Jo & Nic Code : FJN8..
Wilona Ribbon Midi Culotte Pants - PINK2 Price : Rp 67.500 Brand : Jo & Nic Code : FJ..
Wilona Ribbon Midi Culotte Pants - BROWN Price : Rp 67.500 Brand : Jo & Nic Code : FJ..
Gisca A-Line Maxi Skirt - PURPLE Price : Rp 65.000 Brand : Mix Brands Code : FAF003..
Gisca A-Line Maxi Skirt - BLACK Price : Rp 65.000 Brand : Mix Brands Code : FAF003-..
Casual Culottes with Waist Tie - PURPLE3 Price : Rp 59.000 Brand : Jo & Nic Code : FJ..
NESYA Floral Batwing Blouse (import Bangkok) Price : Rp 108.000 Brand : Jo & Nic Code..
Raissa Comfy Jogger Pants - BLACK Price : Rp 62.500 Brand : Jo & Nic Code : FJN83..